YOU DID IT!! Thanks to all of you out there, the United States of Autism successfully completed it’s first fundraising goal on the Kickstarter campaign, helping us to attend film festivals and market this unique film about autism to the world! 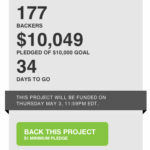 Special thanks to our last donors who put us over the top, the ASD Climber Foundation that put in $1000!! Let’s just take a moment and think about what you’ve just done, whether you’ve given $1 or $25 or more. You’ve been a part of something that actually made it not once, but twice, in the social media world, a project that people love and believe in. Many of you were there when we first won the Pepsi Refresh Project Grant for $50,000, and you pushed us then. And now, you are again a part of something much larger than any one of us on our own, and we hope you are as proud of what you’ve accomplished as we are. 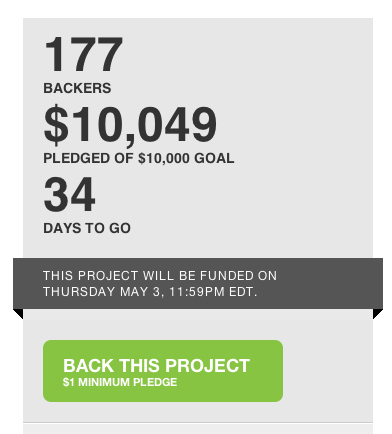 We were successfully funded on our Kickstarter Campaign in May 2012! Thank you again to all our supporters and we can’t wait to get your prizes out soon! Thank you, and we can’t wait to keep sending you more successful updates as time goes on!